Researchers found a majority of recommendations that treatment should be stopped and re-evaluated in patients with rheumatoid arthritis who are newly diagnosed with cancer. Current recommendations for the treatment of rheumatoid arthritis (RA) in patients with cancer often do not meet expected methodologic criteria, according to results published in Arthritis Research and Care. The results also indicated that while recommendations had unanimity that caution should be used when prescribing disease-modifying antirheumatic drugs (DMARDs) to patients with cancer, several other areas had a lack of consensus. The researchers searched electronic databases, guidelines registries, and relevant websites for cancer-specific recommendations on RA management. They independently selected and evaluated the recommendations using the Appraisal of Guidelines for Research and Evaluation (AGREE) II instrument. They then identified similarities and discrepancies among the recommendations. The researchers found 4077 unique citations that allowed them to identify 39 recommendations. Of these, half described their consensus process. The average scores for the AGREE II domains ranged from 33% to 87%. The results indicated that 79% of recommendations addressed cancer risk in RA and acknowledged an increased overall risk for cancer. There was not a consensus on the safety of using DMARDs for patients with RA and cancer. However, the recommendations all noted the contraindication of tumor necrosis factor inhibitors in patients at risk for lymphoma. The researchers found that most recommendations agreed that if a patient with RA is newly diagnosed with cancer, RA treatment should be stopped and re-evaluated. The recommendations for patients with a history of cancer varied, depending on the drug, cancer type, and time since cancer diagnosis. 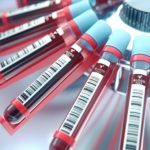 “Our findings suggest that additional research is needed on the effect of specific DMARDs on different types of cancers, at different stages to provide personalized recommendations for patients with cancer and RA, considering effects on recurrence and disease progression, quality of life, and patient preferences,” the researchers wrote.